Scientists have managed to find a way of gathering energy from human bodies, by making use of a film-like device. 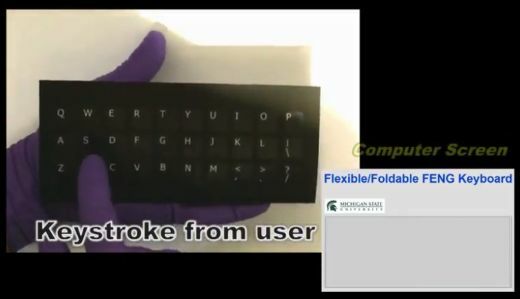 And the first device to make use of this new technology is a foldable keyboard, which has been invented at Michigan State University, and works without needing any battery. The keyboard contains a biocompatible ferroelectret nanogenerator. Using the same nanogenerator, the scientists have managed to power an LCD touch screen and a bank of 20 LED lights – and those LEDs need at least 300 mA! With such encouraging results, it’s not a surprise to find out that, according to the researchers, people will be able to charge their phones and tablets by simply moving around. The nanogenerator is very thin, just like a sheet of paper, so it can be incorporated into many existing devices without requiring significant design changes. And once it is folded, the device becomes more powerful, creating even more energy. A new study from Stanford University, which was published in PLOS Biology, has determined that intelligent, wearable devices (smartwatches, for example) can be used to detect illnesses and even save lives. Scientists have studied 60 subjects, people who have been monitored in their everyday life. In the end, the conclusion was very clear: intelligent devices that make use of biosensors are very useful when a person has caught a cold, the flu, or even more serious illnesses like the Lyme disease or diabetes. People suffering from type 2 diabetes have a different heart rate pattern in comparison with healthy individuals, for example. 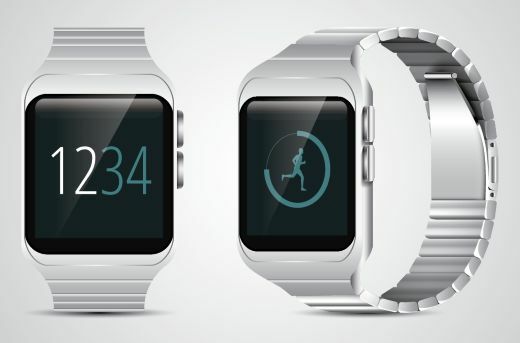 We are very close to a future when even a regular smartphone will double as an intelligent health monitor. Several researchers from MIT and the University of San Diego in California have managed to turn bacteria into soldiers that fight against cancer cells. Several strains of bacteria were programmed by the scientists to deliver toxic payloads. Traditional cancer drugs were used in conjunction with this strategy, and the result was amazing: aggressive liver tumors shrank. It is known that most bacteria gather at the disease site, and this characteristic has been used by the researchers. There are several types of bacteria that multiply in areas with little oxygen, such as tumors. The E coli bacteria strains gather in the liver, for example. This organ has the role of filtering bacteria in the human body. 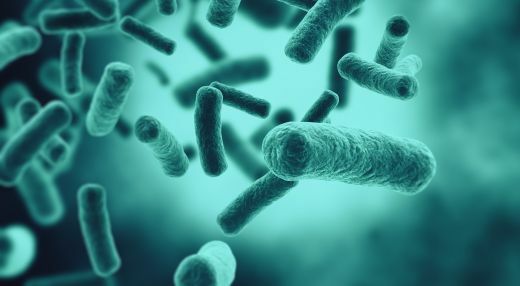 Researchers managed to inject artificially engineered circuits into the bacteria, making the microbes kill the cancer cells. One of the circuits has released a molecule that destroyed the cell membrane, another one produced a drug that made the cell suicide, and the third circuit released a protein that stimulated the human immune system to attack the tumor. And the good news doesn’t stop here: bacteria that are used in the process can be easily cleared by the immune system once their job is done, and thus any possible side effect is minimized. The study has received grants from the San Diego Center for Systems Biology, the National Institute of General Medical Sciences and several other medical institutions that are fighting cancer.